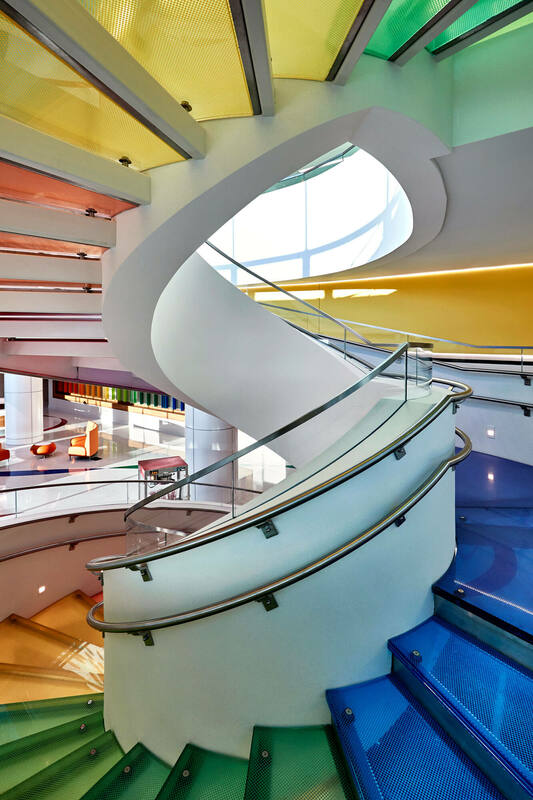 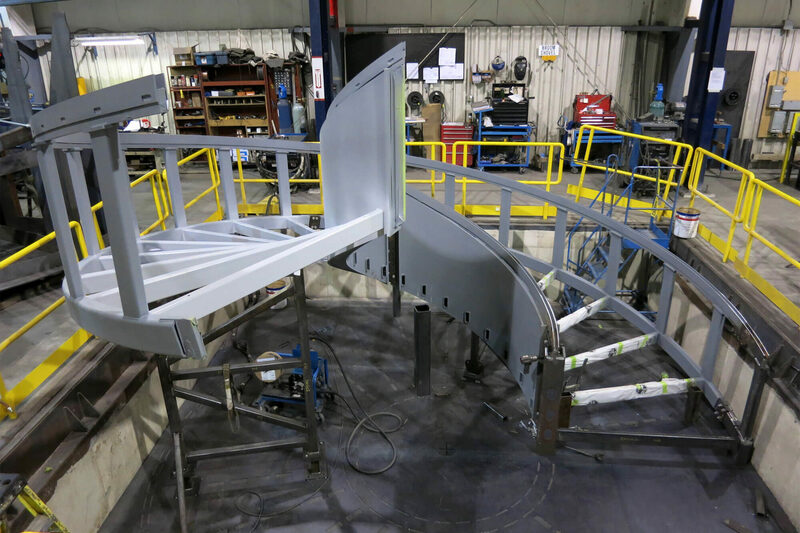 Feature Walter’s role involves design assist to develop a 12 metric ton steel structure for an unsupported 720 degree spiral stair, as well as compact, concealed splice details allowing the stair to ship as pre-fabricated modules. 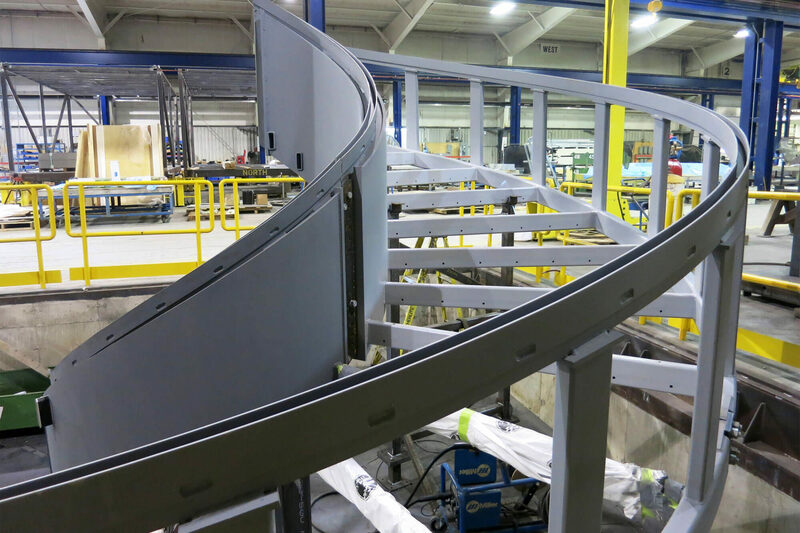 Shortly after being awarded the steel, Feature Walters was asked to also engineer, detail and supply the glass treads and glass guards. 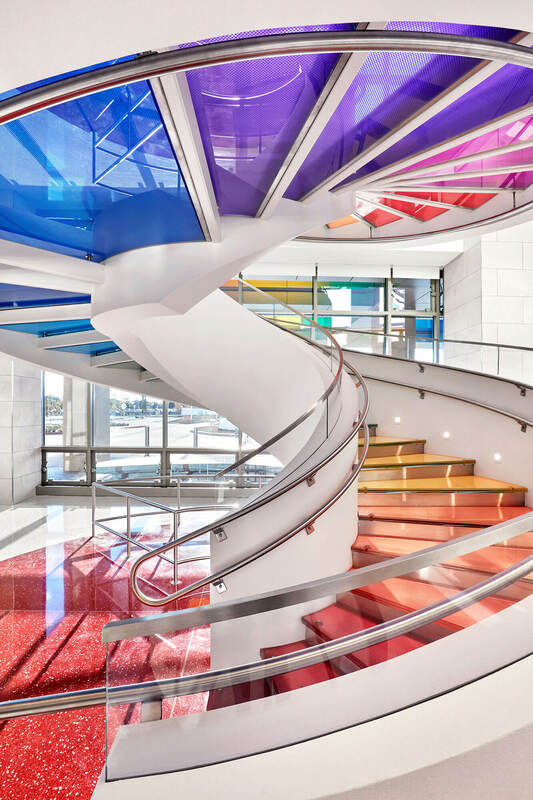 The complexity of the stairs is unique in this scope as the entire stair’s 720 degree of rotation is completely cantilevered from a concealed backspan structure at the Level 2 slab. 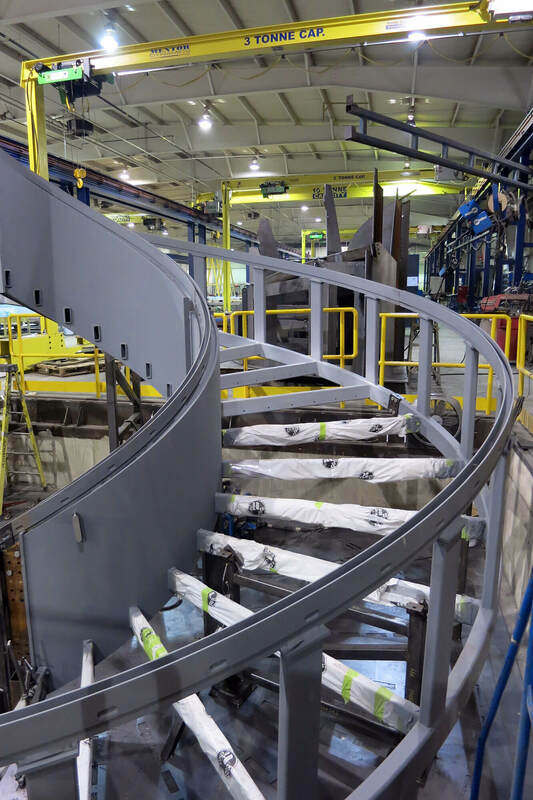 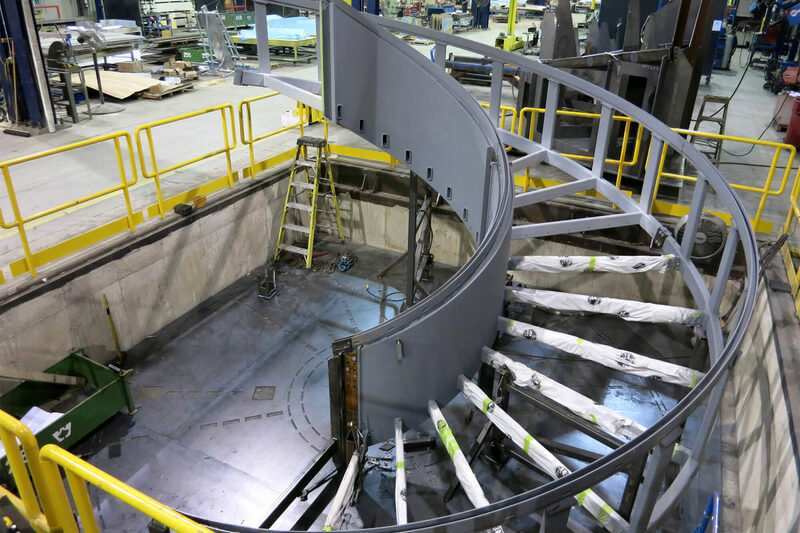 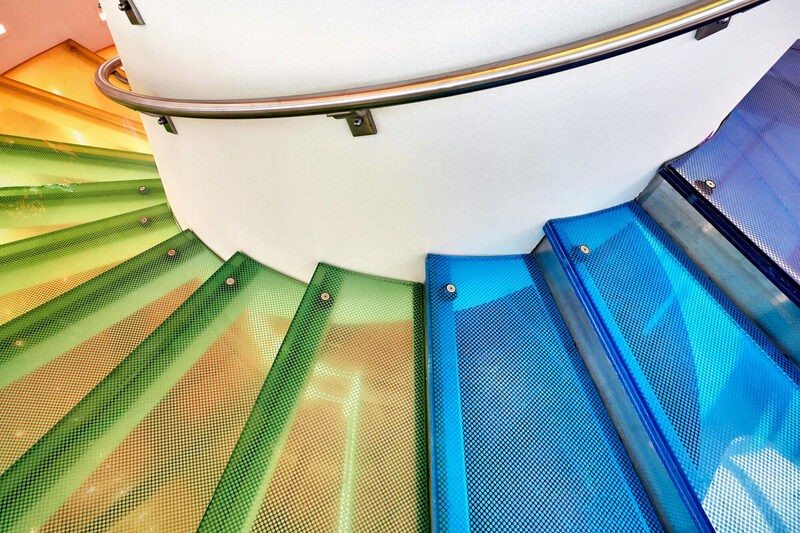 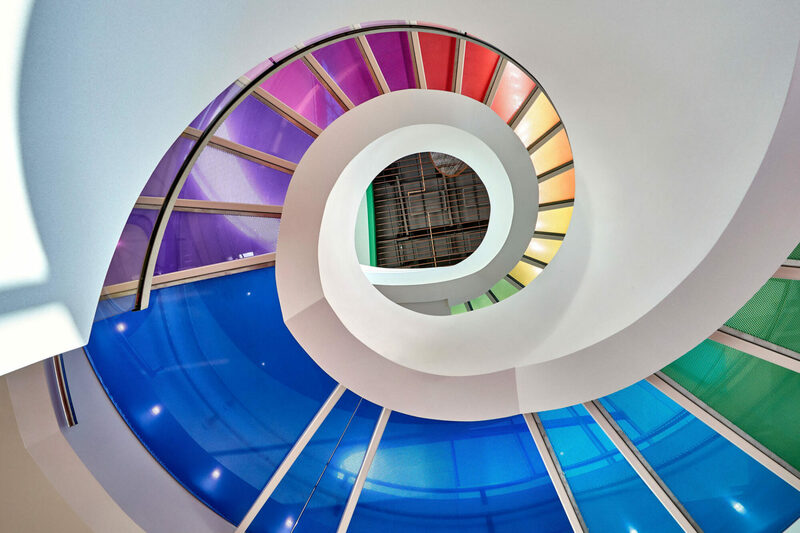 Our Feature Walters plant fabricated six segments to make up this two-storey high curved stair, and performed a trial ﬁt as each segment became complete.